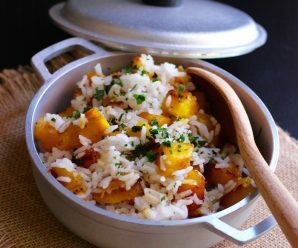 The heavenly plantain! We fry it, we boil it, we grill it and we bake it. 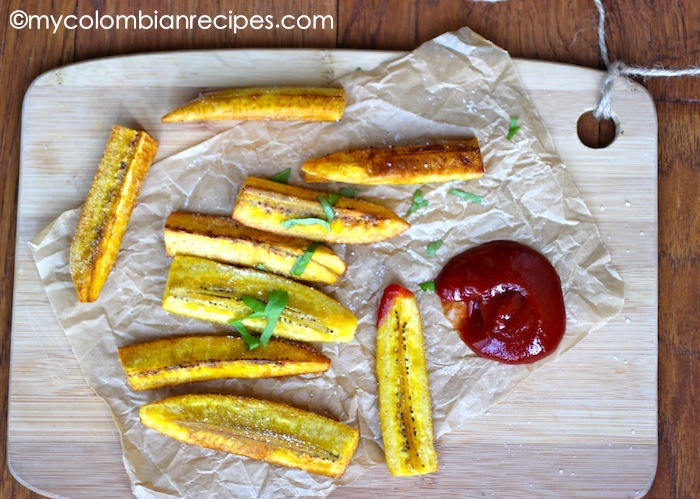 No matter how we prepare it, plantains are a must in Colombian kitchens. 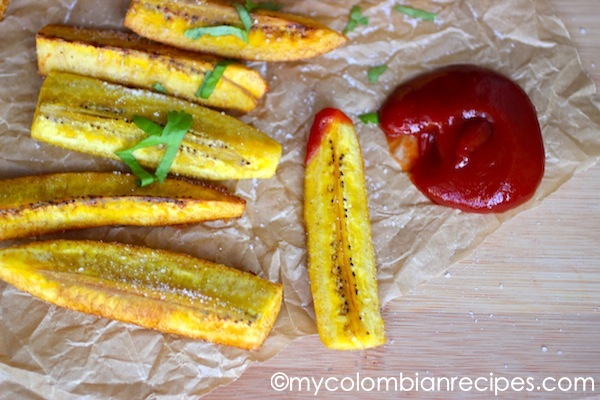 These green plantains fries are absolutely delicious. You could serve them as a side dish, or you could give them to your kids to snack on after school. They don’t take very long to prepare at all. I remember my mom making these plátano verde fries for me when I was growing up, and I loved them, and I was a very, very picky eater. 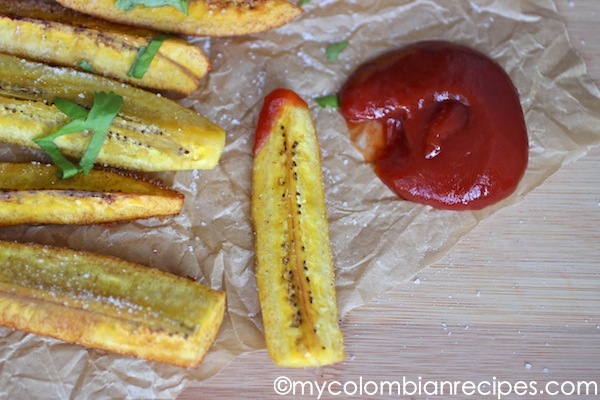 The best thing about these plantain fries is that they can be fried or baked. I included both recipes below. I personally prefer the frying method, but if you are trying to eat healthy, the oven method is perfect for you. Peel the plantains. 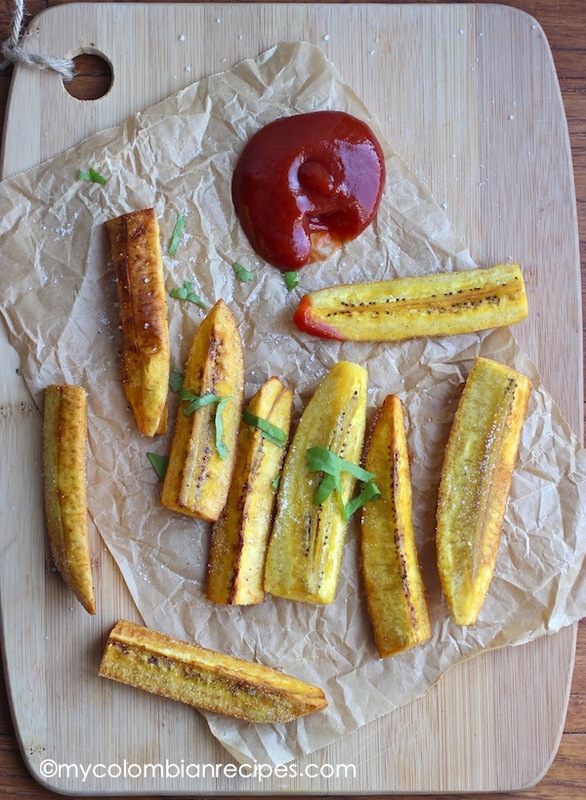 Cut each plantain into thick wedges. Frying method: Heat the oil in a medium pot over medium heat. Line a plate with paper towels and set aside. Fry in batches, turning frequently, until golden brown, about 30 seconds. 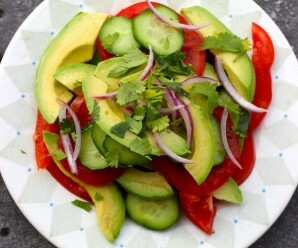 Remove to the plate lined with paper towels and season immediately with the sea salt. For baking method: Adjust an oven rack to the lowest position and preheat the oven to 475 degrees F.
Cover a large baking sheet with parchment paper and apply cooking spray. 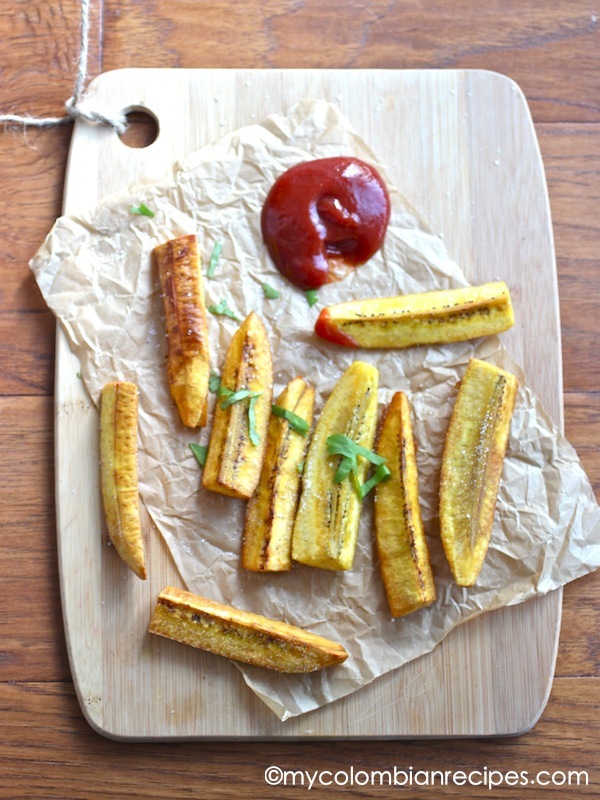 Arrange the plantain fries in a single layer on the baking sheet and cover the sheet tightly with foil. Bake for 5 minutes, then remove the foil and continue to bake for 10 minutes. 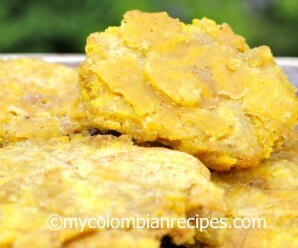 Rotate the pan and cook another 5 minutes, until the underside of the plantains are spotty golden brown. Remove the baking sheet from the oven and scrape the fries loose with a spatula. Then use tongs or the spatula to flip over each wedge. Continue to bake until the fries are golden and crisp, about 5 minutes more. 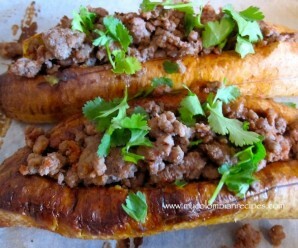 I like this idea…long patacones but fied once. Fun for a party. These are a great party food! Boy, I’d love to be able to find green plantains to try these. Ok, stupid question. Are green plantains unripe forms of the dark ones I find at our stores? a simple presentation, but so delicious! 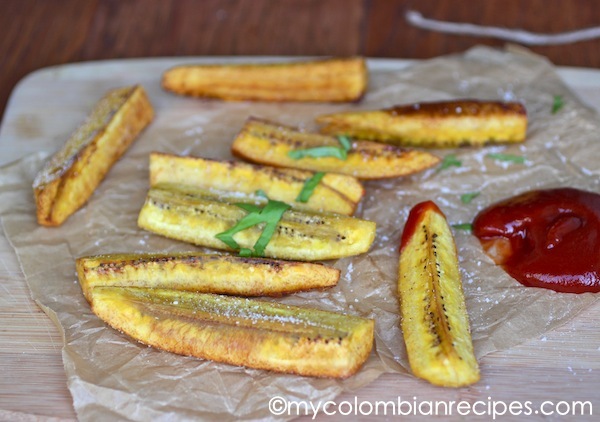 it’d be nice to have plantains available all the time! Thank you! They came out great! I did find them a tad bland so I’m wondering if anyone added any other seasonings to it. I sprinkled them with sea salt.